As far as I'm aware, the process of opening an oblivion gate (to the mehrunes dagon plane) is never explained in-game or otherwise, but mythic dawn are clearly related. Among them is an altmer named Eldamil, who it is said, was responsible for opening the gates at Kvatch. 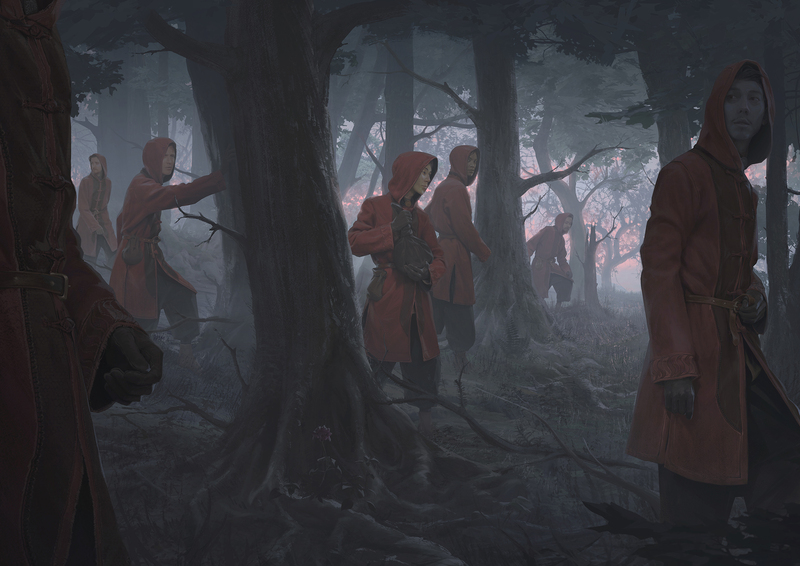 The pic shows a party of cultists, tasked with executing said siege. Eldamil is at the center, carrying a sigil stone to be used in the opening ritual. Symbolically, the scene takes place at dawn.